ALLERGEN INFORMATION: CONTAINS MILK AND SOY (LECITHIN) INGREDIENTS. This product is manufactured in a facility that processes Milk, Soy, Egg, Wheat and Tree Nuts. ALLERGEN INFORMATION: CONTAINS MILK AND SOY (LECITHIN) INGREDIENTS. This product is manufactured in a facility that processes Milk, Soy, Egg, Wheat and Tree Nuts. This product may contain naturally occurring caffeine. ALLERGEN INFORMATION: CONTAINS MILK AND SOY(LECITHIN) INGREDIENTS. This product is manufactured in a facility that processes Milk, Soy, Egg, Wheat and Tree Nuts. Whey Protein Concentrate, Milk Protein Concentrate, Natural and Artificial Flavor, Instant Coffee, Cocoa, Potassium Chloride, Xanthan Gum, Salt, Sucralose, Acesulfame Potassium This product may contain naturally occurring caffeine. Protein Matrix (Milk Protein Concentrate, Whey Protein Concentrate, Calcium Caseinate), Maltodextrin, Banana Fruit Pieces, Xanthan Gum, Natural Banana Flavor, Dextrose, Potassium Chloride, Natural And Artificial Vanilla Flavoring, Acesulfame-K, Aminogen, Sucralose. Mix one scoop of Infinite Essentials Whey Delite with 8 oz. (236mL) of cold water or skim milk; mix well. Consume immediately. 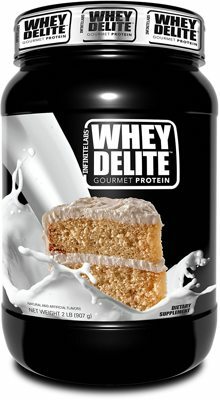 Take 2 to 3 servings of Infinite Essentials Whey Delite daily. Protein Matrix (Milk Protein Concentrate, Whey Protein Concentrate, Calcium Caseinate), Strawberry Pieces, Maltodextrin, Chocolate Flavoring, Xanthan Gum, Dextrose, Potassium Chloride, Natural And Artificial Strawberry Flavoring, Natural And Artificial White Chocolate Flavoring, Acesulfame-K, Aminogen, Sucralose, FD&C Red #40. Protein Matrix (Milk Protein Concentrate, Whey Protein Concentrate, Calcium Caseinate), Peanut Flour, Peanut Butter Chips (Partially Defatted Peanuts, Sugar, Partially Hydrogenated Vegetable Oil (Palm Kernel And Soybean Oil), Corn Syrup Solids, Dextrose, Reduced Mineral Whey (Milk), Contains 2% Or Less Of: Salt, Vanillin - Artificial Flavor, Soy Lecithin) Dextrose, Xanthan Gum, Potassium Chloride, Acesulfame-K, Enzyme Blend, Sucralose.